my word press admin dashboard css not loading but home page and other page are working perfect any one know how to fix this? 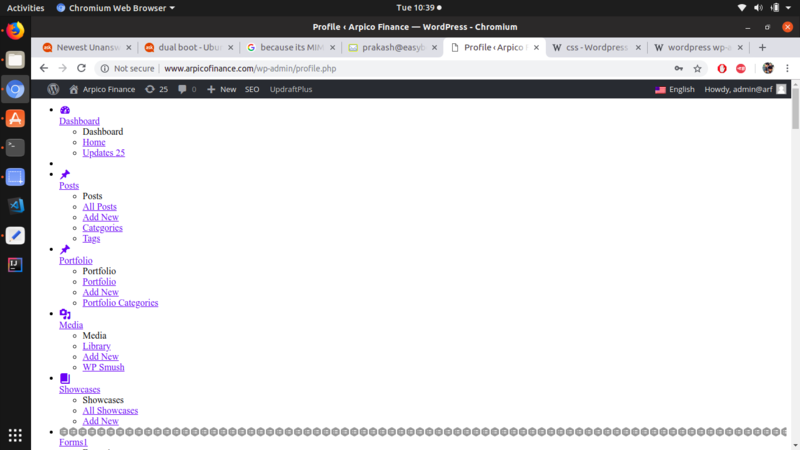 wordpress login page not getting load-styles.php? I had the same issue a few months back I tried this and this works for me. try to load wp-admin with SSL. After reloading it looks OK, maybe after re-login, set SCRIPT_DEBUG to false. Not the answer you're looking for? Browse other questions tagged wp-admin admin-css or ask your own question.